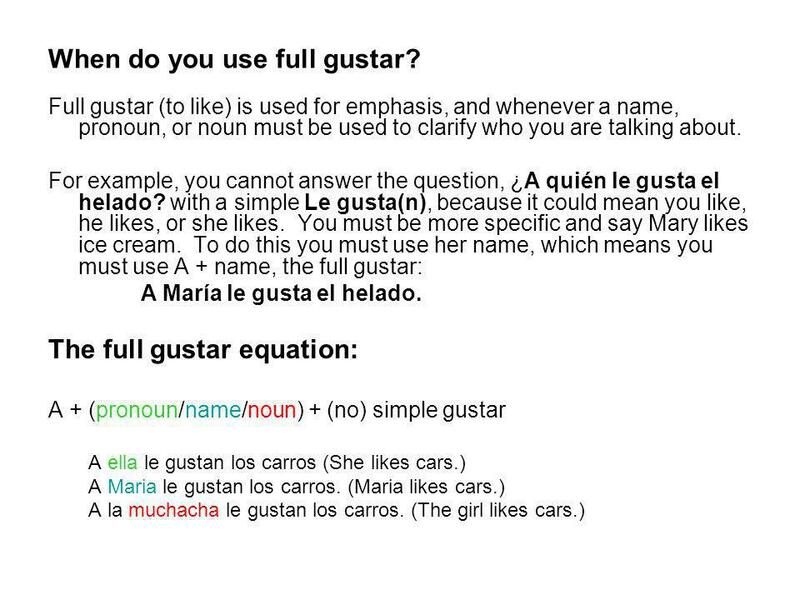 2 When do you use full gustar? 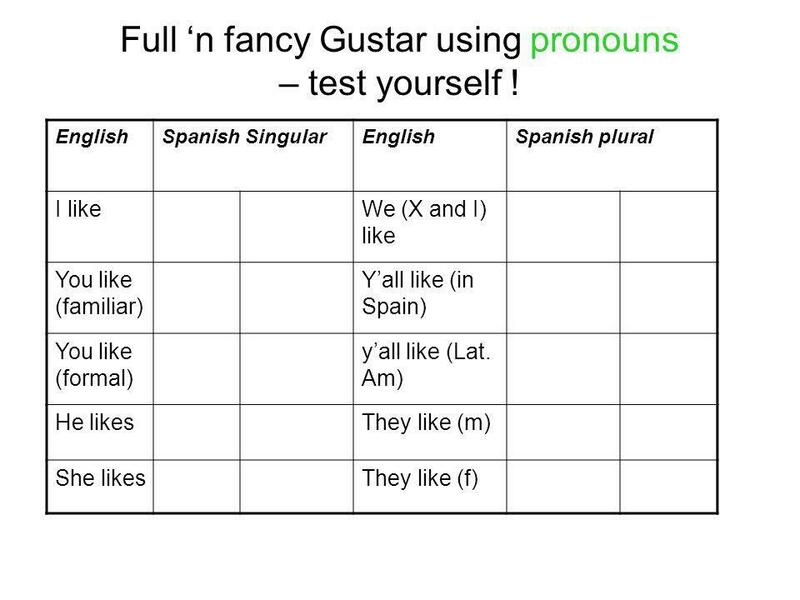 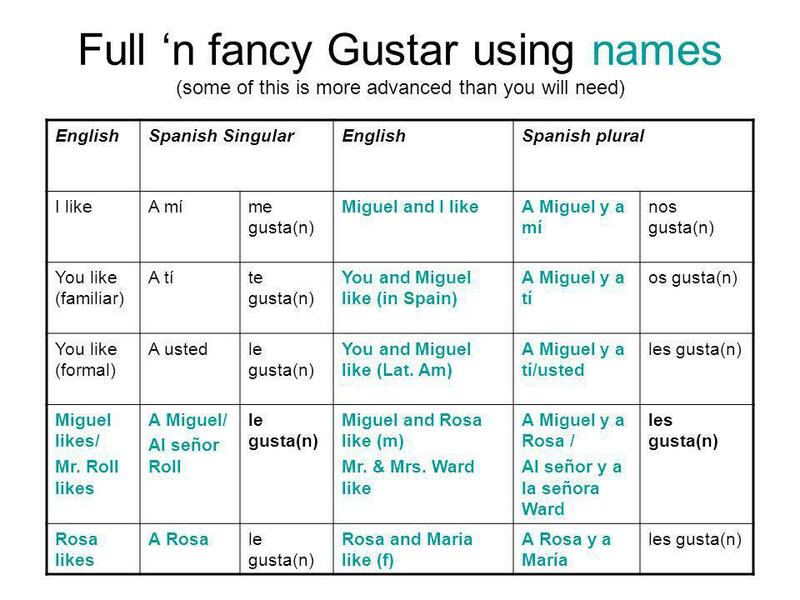 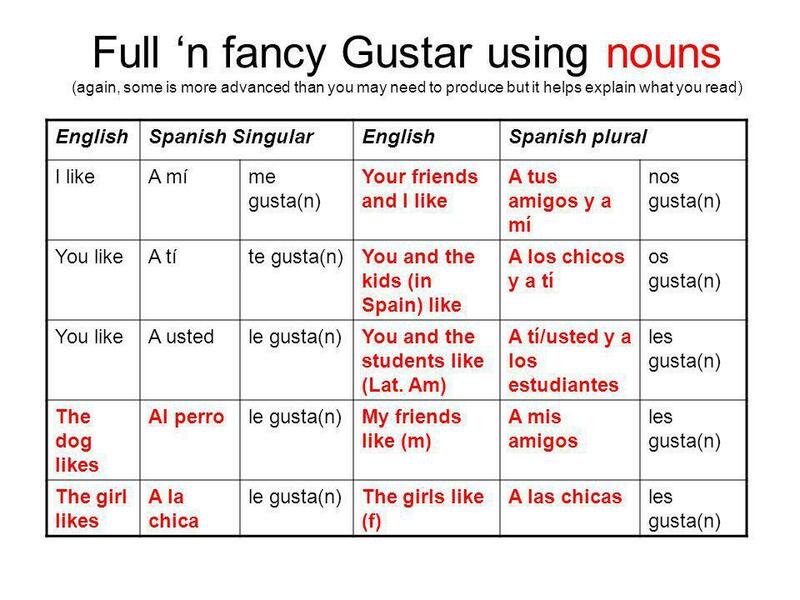 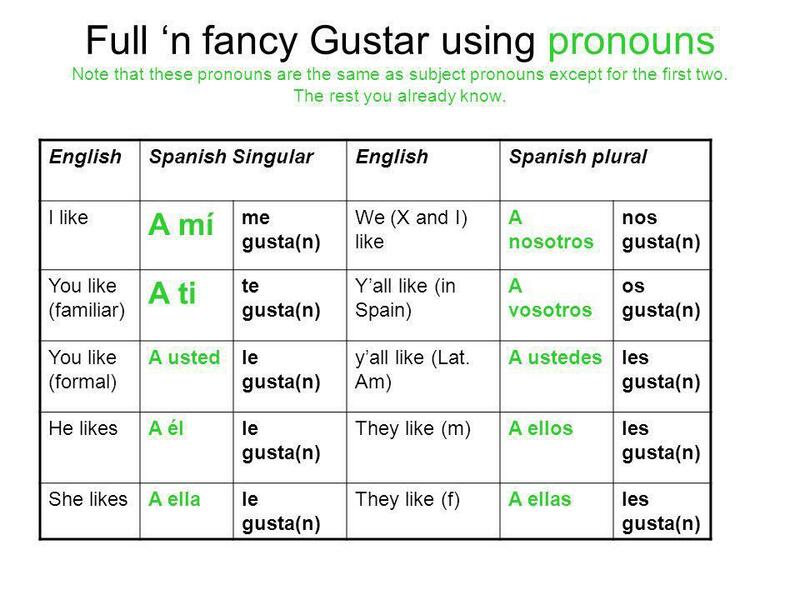 4 Full ‘n fancy Gustar using pronouns – test yourself ! 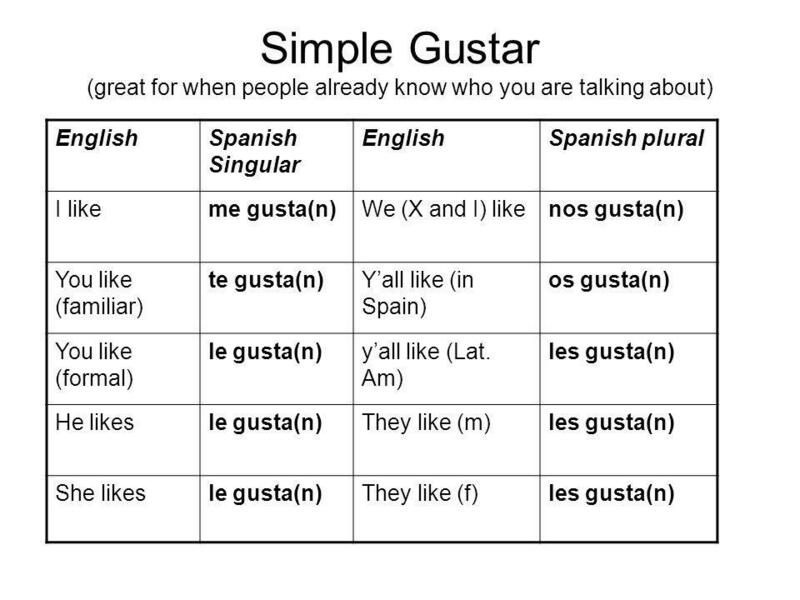 Descargar ppt "English Spanish Singular Spanish plural I like me gusta(n)"